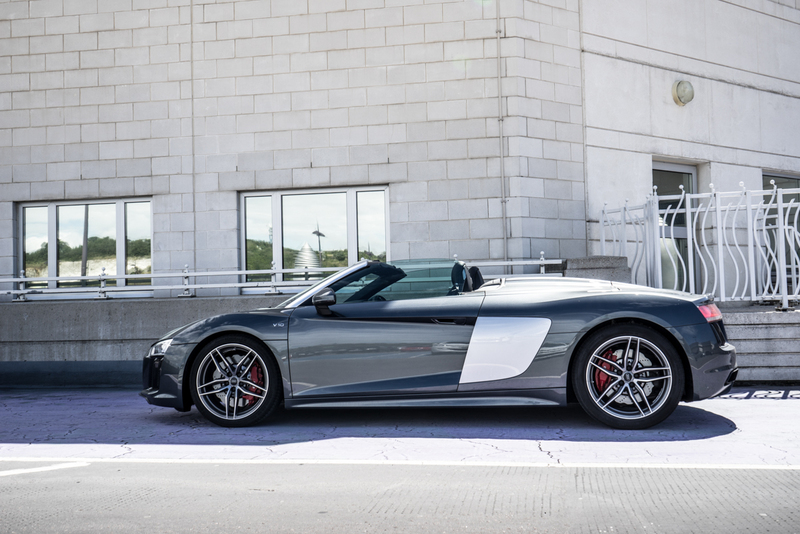 Driving the R8 Spyder is nothing short of a good time. 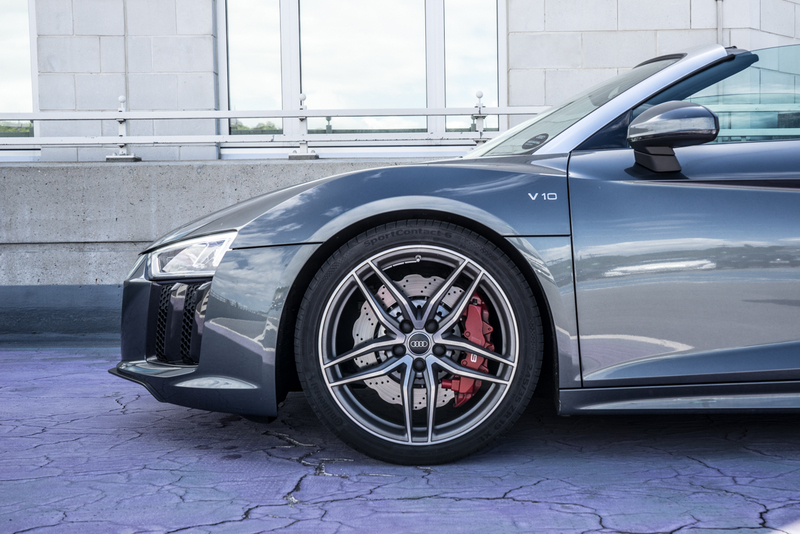 A Naturally aspirated V10, perfectly positioned behind your head should surely impress. 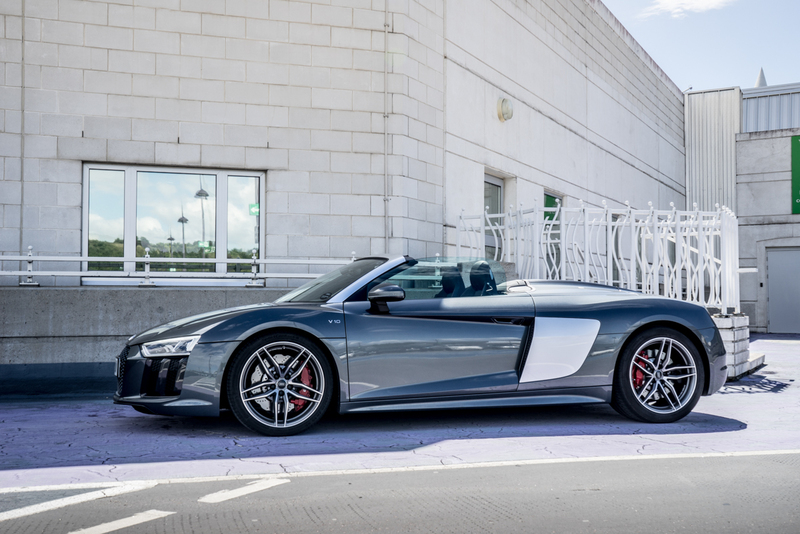 We recently had a chance to get back behind the wheel of one of Audi’s more intense convertible cars, the R8 Spyder. 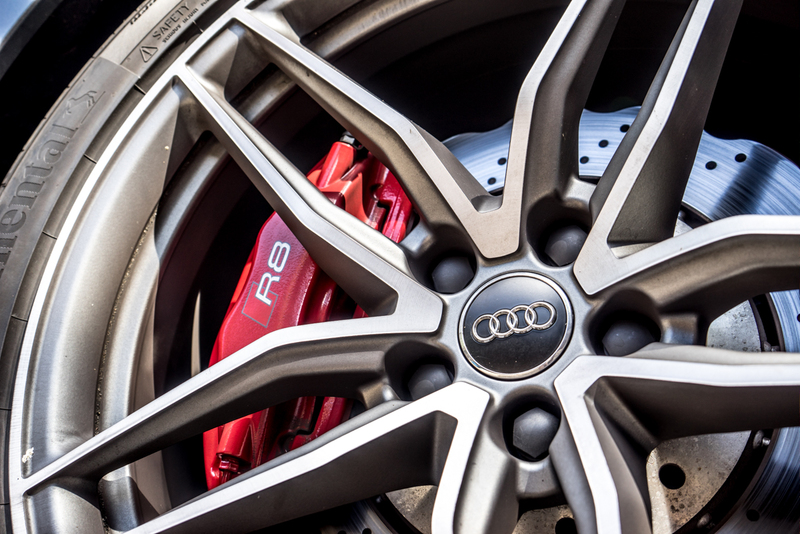 With a 5.2 V10 FSI Quattro Engine capable of sprinting from 0-60 in 3.6 seconds and 540hp under the hood. This car most definitely offers the thrills. We were actually in attendance at the launch for the car around a year ago in Spain, but we wanted to get a chance to put the car through some work on the roads and live with it day to day. 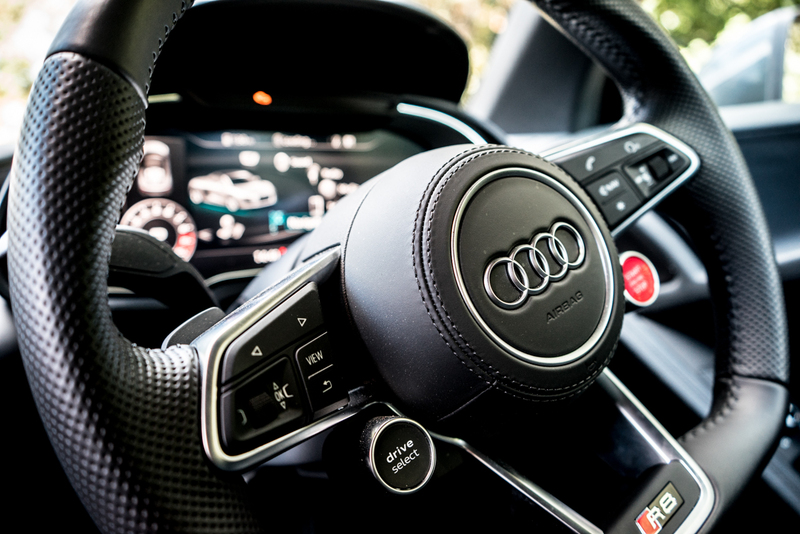 The best thing about the Audi Supercar, to us at least is the practicality and everyday usability. 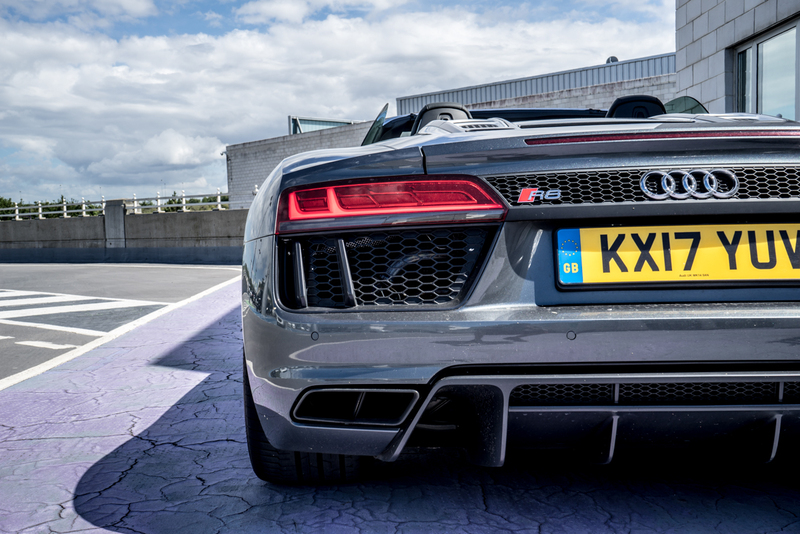 Yes, it consumes a lot of fuel, but there aren’t many cars on the road with such a gorgeously implemented V10 engine. Simply starting the car and flicking through the gears whilst thundering down a countryside road overtip the scales of enjoyment versus fuel consumption worries. I would say 22mpg is just fine for me considering the sheer driving pleasure of this car. 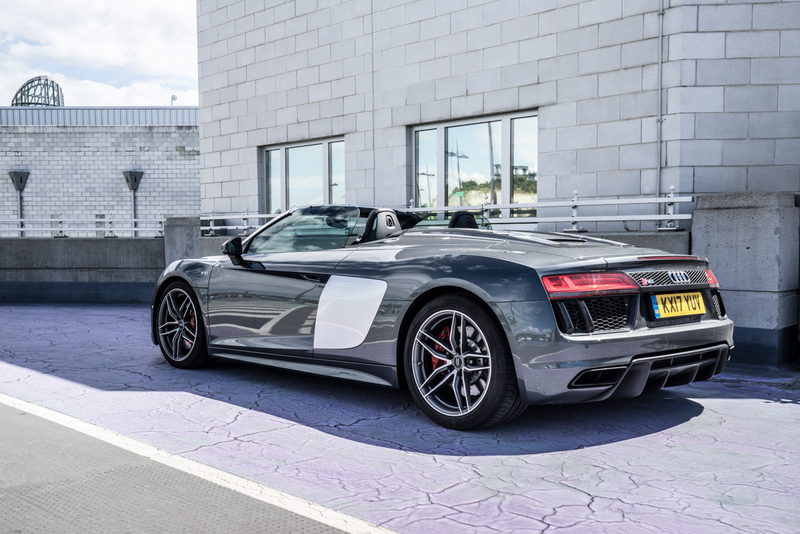 With comfortable seating, a well laid out dashboard and the virtual cockpit as standard, the R8 Spyder has more then enough comfort to use day to day. There are heated seats for the winter and a 20 second folding roof for the summer which operates up to 31mph. 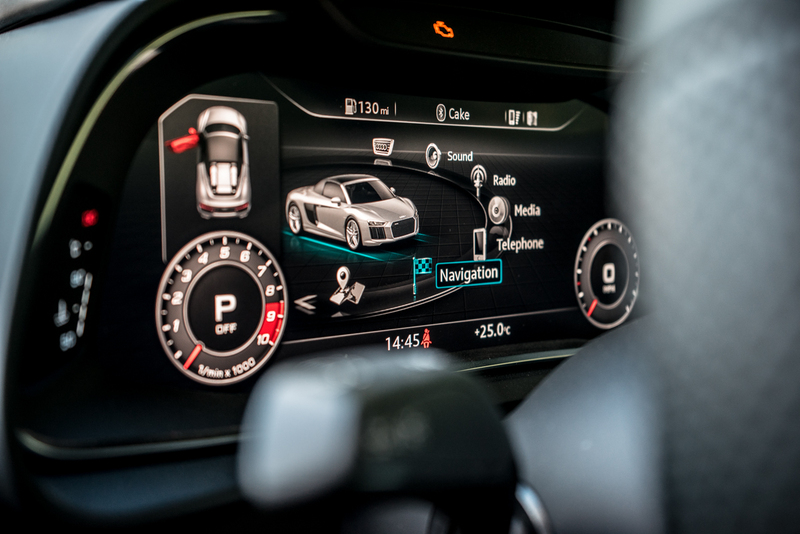 The car itself, should you find yourself on a derestricted bit of road will get you all the way up to 197mph. Fast enough? 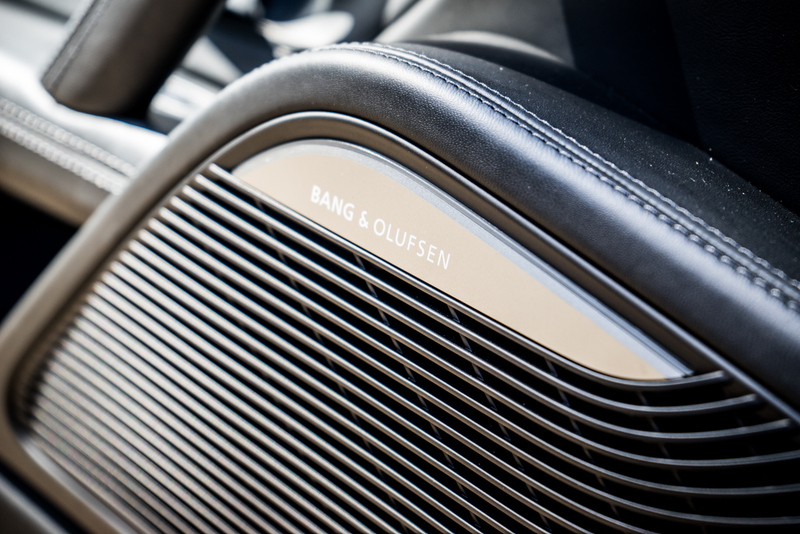 The car has an optional Bang & Olufsen system for crystal clear audio which offers a brilliant soundtrack aside to the engine (£1750.00) but the best spec you can add to the car inside or out is quite simply the Sports Exhaust System (£1800.00). You wont be disappointed.